• Polar Plunge • Disc Golf Ice Bowl • Sleigh Rides • Kids Winter Carnival • Chili Cook-off • Music • Food • Beverages • and More! It’s an outdoor adventure for the entire family that you won’t want to miss! 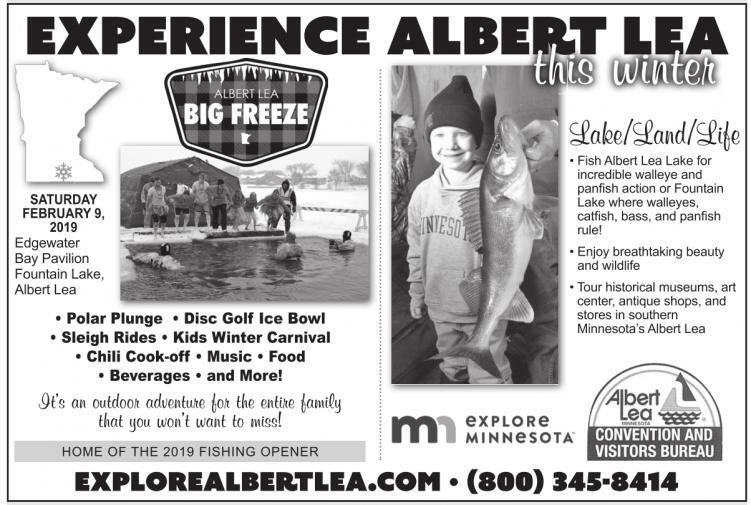 • Fish Albert Lea Lake for incredible walleye and panfish action or Fountain Lake where walleyes, catfish, bass, and panfish rule!